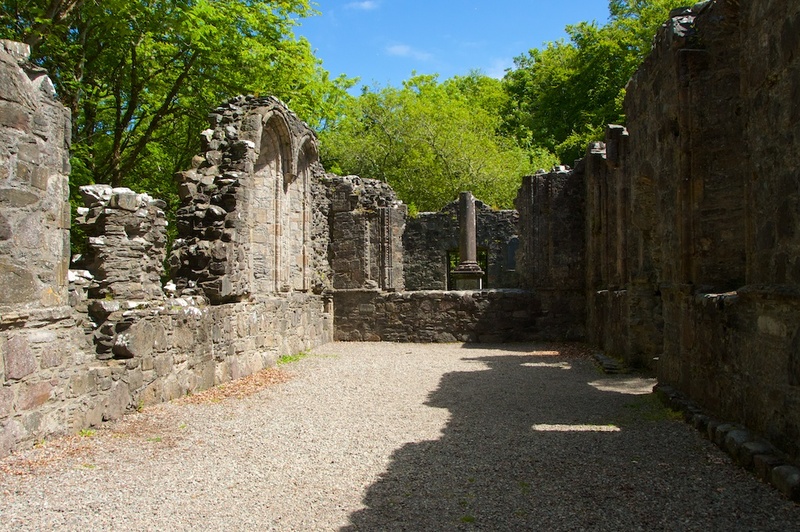 On the afternoon of 20th December 1462, a bridal party walked down the short path from Dunstaffnage Castle to a little chapel in the woods. It was to be a joyful occasion: Sir John Stewart, 3rd Lord of Lorn and a widower, was marrying his mistress, a MacLaren of Ardvech. The couple already had a son, Dugald, and their marriage would seal his inheritance. But before the groom could even enter the church, disaster struck. A vengeful relative, the kind you don’t want to see at any wedding, had been lying in wait. His name was Alan MacCoul, and he was hell-bent on murder. He and his men ambushed the wedding party and stabbed the groom several times. Struggling for breath, Sir John was carried into the church where he had just strength enough to make his wedding vows before he died. What on earth provoked such a hateful act? Jealousy, of course, and greed. 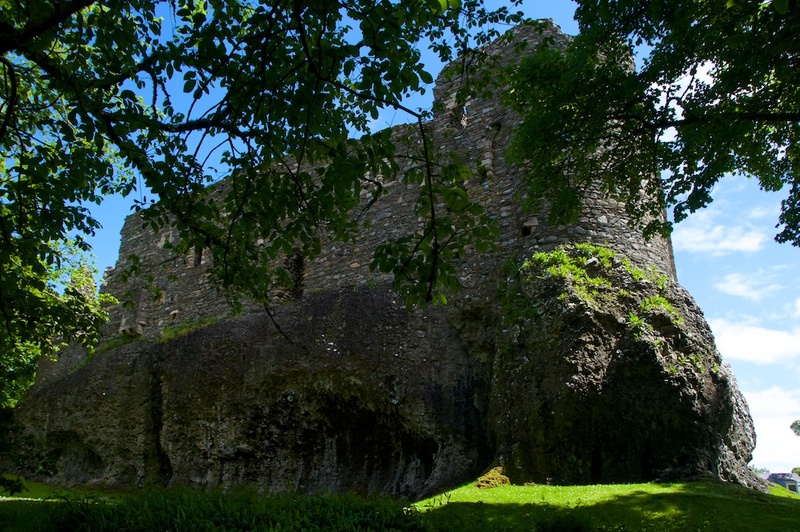 The MacDougalls were the ancestral owners of Dunstaffnage, and hereditary holders of the title ‘Lord of Lorn’. But somewhere along the line, when no heirs had been produced, the inheritance had passed to the Stewarts through marriage with a MacDougall daughter. Alan MacCoul was a MacDougall by descent; he believed himself and his clansmen to be dispossessed, and he hatched an evil plan. Nor did it end there. 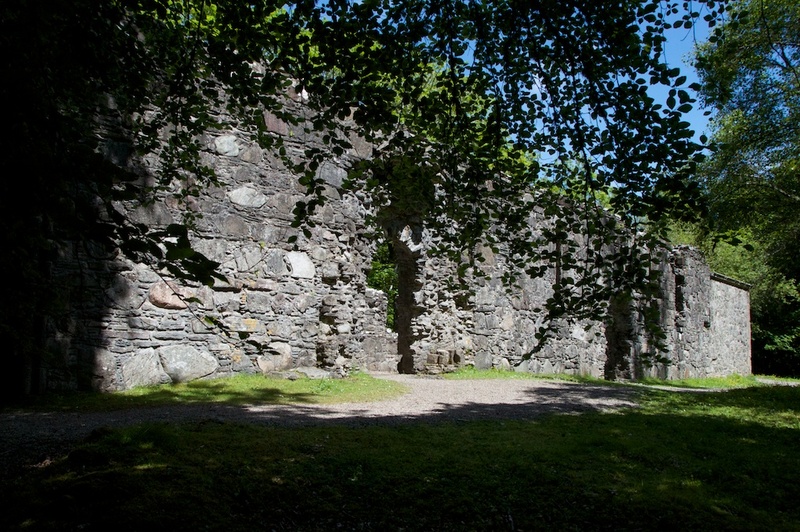 As Sir John received the last rites in the presence of his horrified family and guests, MacCoul seized the castle, which of course was conveniently empty. If a banquet had been prepared, you can almost imagine him revelling in his own good luck. This was a real-life Game of Thrones! But he who holds the castle doesn’t necessarily win the game. Thanks to some careful networking, Sir John’s title passed not to his son but to his brother, Walter Stewart. It took Dugald another five years to bring down the man who murdered his father; according to folklore, he struck the fateful blow himself, during a fight between the two clans near Stalcair Bay. Walter Stewart relinquished his claim to the Lordship of Lorn, but Dugald never held it. 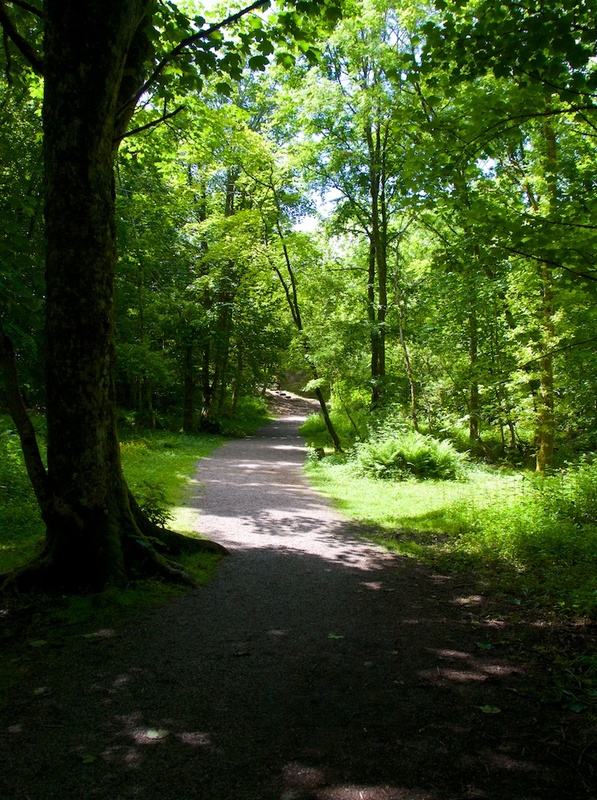 Instead, he received a share of the land, and became the first to bear the title ‘Stewart of Appin’. 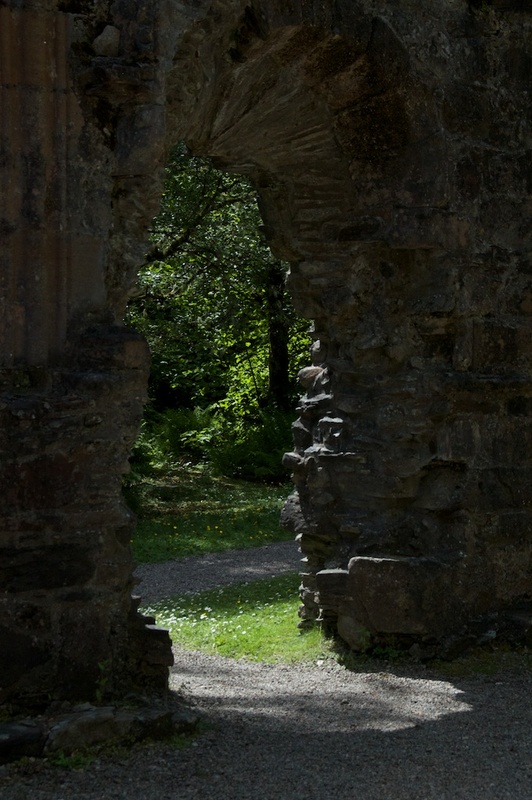 Today, the little chapel at Dunstaffnage stands in ruins, its unquiet spirits lulled by birdsong. Like a spectral bride, an old larch bedecked in lichen stretches long gaunt fingers towards the doorway. As the breeze stirs the fresh leaves of midsummer, thousands of downy willow seeds dance in the shafts of sunlight. The tranquillity is deceptive: this is a forgotten place, remembering old wounds. 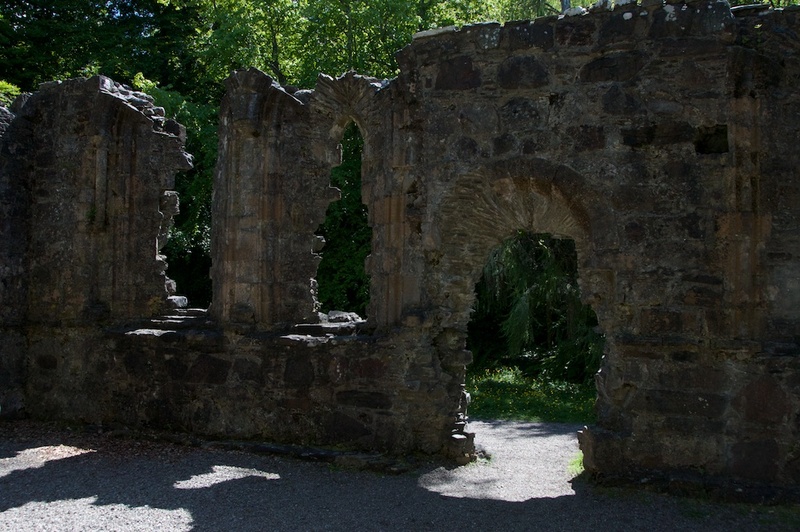 Is Dunstaffnage Chapel haunted? I don’t know for sure. But the castle is, and under an ancient law its Hereditary Captain is obliged to spend three nights there every year. Read more in this feature on The Hazel Tree! 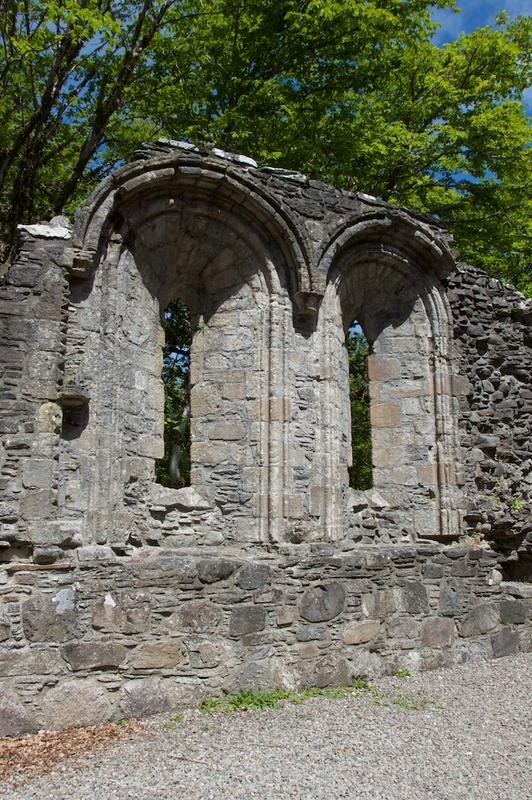 Dunstaffnage Castle and Chapel can be found at Dunbeg, just a few miles north of Oban. 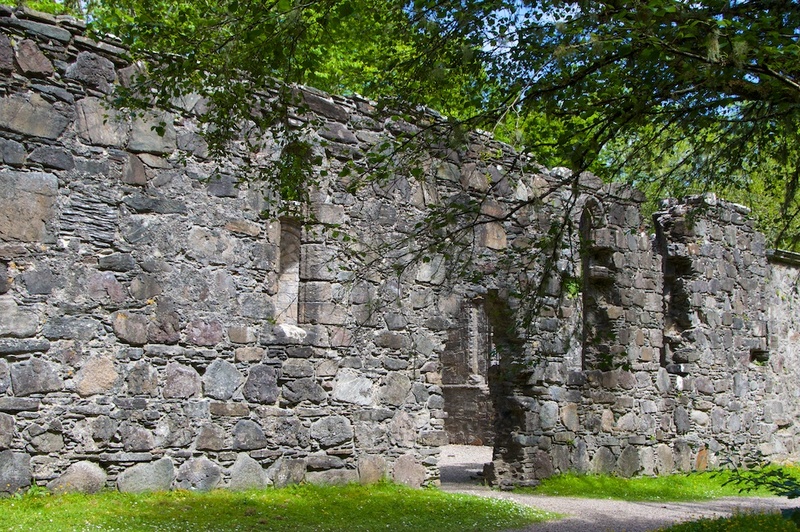 For more information on visiting, go to Historic Scotland’s website. A sad story, but beautiful pictures. Thank you! 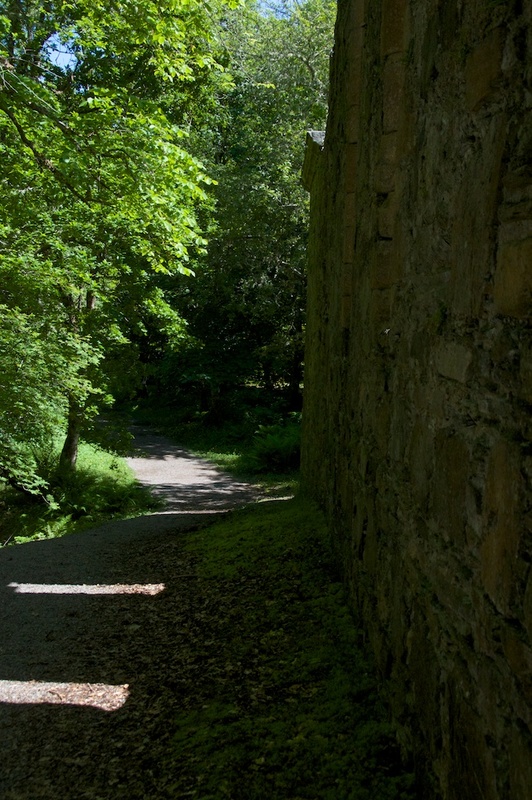 Yes, there are sad and ancient stories almost everywhere you tread in Scotland – perhaps that’s part of the beauty! “Like a spectral bride, an old larch bedecked in lichen stretches long gaunt fingers towards the doorway!” – great writing Jo! Thank you, Lynne! There was a strange feeling there, a bit other-worldly but nothing that I could call spooky. Glad to see you are back, hope you had a great time! Crikey, you did well! 🙂 That’s a lot to look through! I am a McLaurin but didn’t know any of these events. Very interesting. I think you would love this place, Rosemary! Thanks very much for your comment. Such an evocative post, and place. Thank you, Pat! I have wanted to see this little chapel for a long time. It felt very ‘feminine’ in atmosphere, and the setting is so beautiful. I agree with David, beautifully written and I loved that sentence about the spectral bride. Delightful photographs of such a peaceful looking place, and yet the memories it holds are quite chilling. There must be many dreadful stories hanging in the past of places visited on sunny days, and yet you can feel such a sense of peace in them. 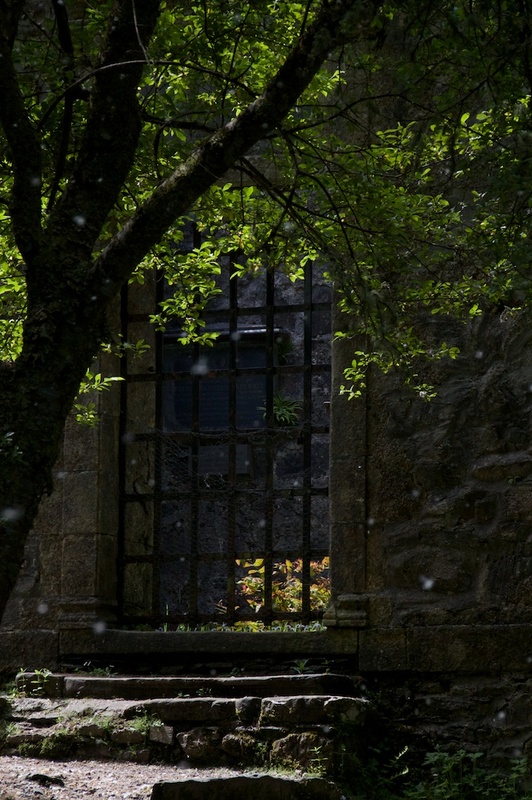 Perhaps, with time, old crimes are somehow eaten up by the foliage that grows over the old stones. That’s very kind, Lorna, thank you. 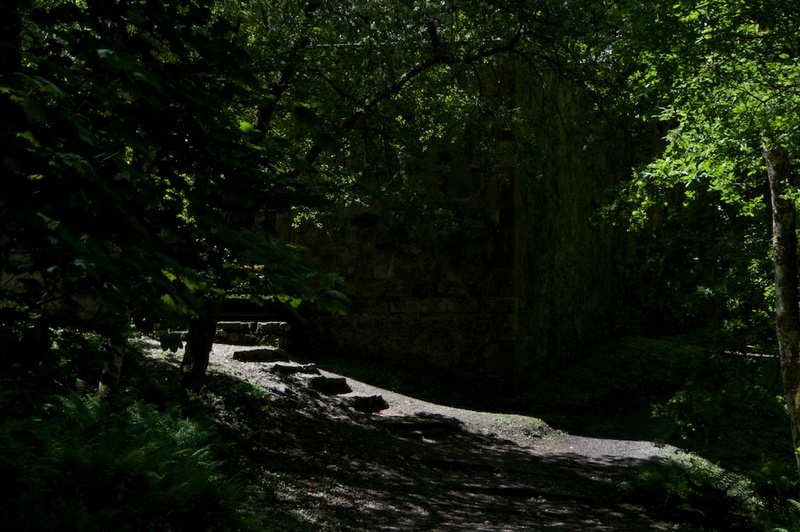 It was lovely to wander around here, knowing what had taken place – quite often I am unaware of much of the history beforehand. 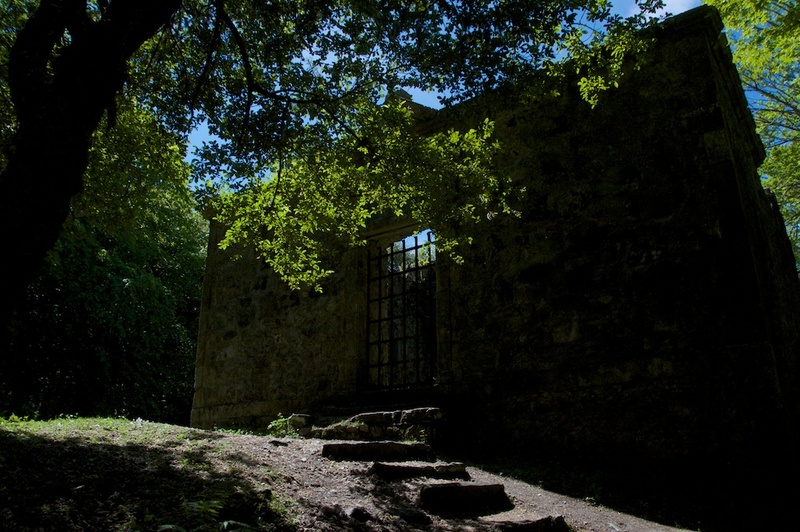 I do like the idea of foliage – trees, ferns, even lichen – somehow absorbing old crimes and sadness. That is how it appears in many places, because it always has a softening effect. Thank you very much. I enjoyed it very much. Glad to hear it, Judi, and thanks for your kind comment!